Larry and I spent all day yesterday at San Diego Hospice, finishing our volunteer training. It was an emotional roller coaster of a day, as I imagine much of our time will be once we begin our volunteer service. There were about fifty of us, a large group of folks with a wide variety of backgrounds, all drawn to hospice work for just as many reasons, no doubt. It was an emotionally draining day, and each meal and snack seemed an especial treat. The terrific staff who trained us were incredibly skilled, sensitive and insightful. They even anticipated how eagerly we would attack the trays of morning scones and muffins, followed by baskets of brownies and freshly baked cookies for our afternoon breaks. After all that sugar, I craved a simple salad for lunch today. 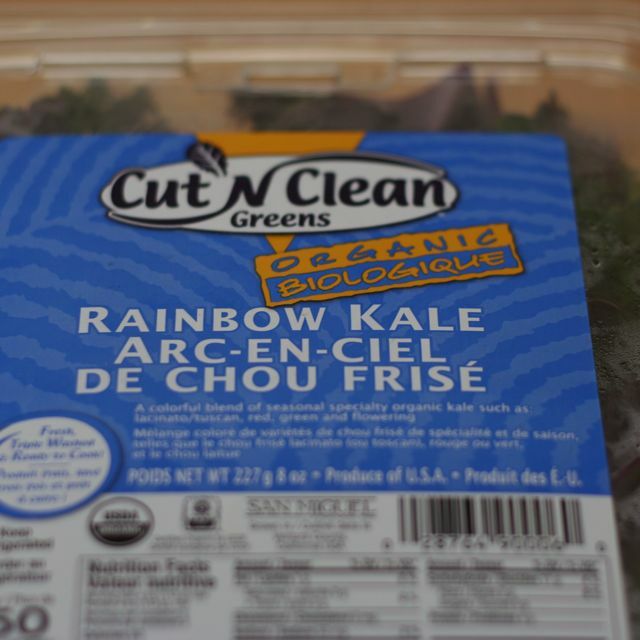 Lucky enough to have received a case of assorted winter greens from “Cut N Clean Greens” earlier this week, I prepared this salad, using some of their rainbow organic kale. Since the greens were already washed, chopped and sliced, this came together in five minutes. 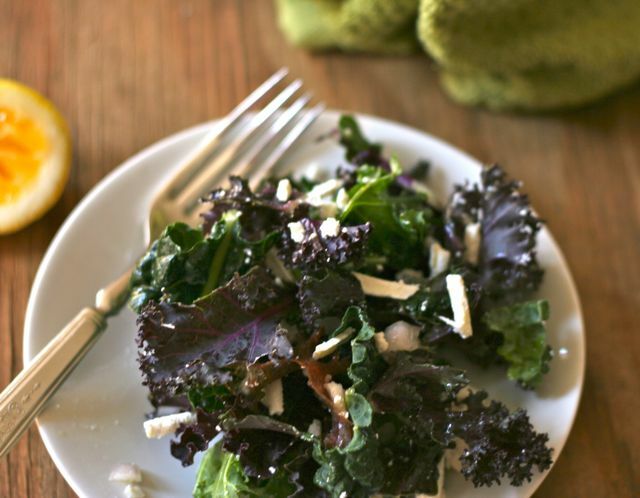 Thank you, “Cut N Clean Greens”, for inspiring me to create my kale salad with ricotta salata. 1. Whisk together the lemon juice, oil, shallot, salt and pepper. 2. Pour the dressing over the kale. Sprinkle salad with ricotta and toss. Serve. I admire you both so both for your work with hospice. Lovely salad too! I rely on vinegar so much when making my salads, this lemon dressing looks delightful. Hi Wendy – I usually rely on vinegar for dressing – but am flooded with Meyer lemons on the tree. This one is right up my alley! And it’s the perfect lunch to balance out the scones and brownies 🙂 I have so much respect for the volunteer work you and Larry are embarking on. You can’t imagine how we scarfed up the sweets yesterday – and came home to make a pizza! This is great, so healthy! I’ve never used kale raw before, something new to try. Love the dressing! Kudos to you both for your hospice volunteering! Sometimes I microwave the kale for 20-30 seconds before making it into a salad – brightens the color and softens it just a little – I didn’t do this here, though. We like kale salad and I’ve become a big ricotta salata fan. This looks wonderful. And, kudos to you and Larry for your work with hospice care. It is so compassionate and generous of you both. Thanks, Carol – your rain has just arrived here in San Diego 😉 Windy! Thank You for volunteering with Hospice, it is a great organization. One you wish no one had to use but are very grateful to have when the need is there. Liz, you and Larry are Saints doing your volunteer work! My hat is off to you both. And kale salads…mmmm, I love them. I love kale chips, too. I make chocolate (and cheezy/vegan) kale chips quite a bit. Kale is so versatile. Kale chips – I haven’t made those for a while – great idea.